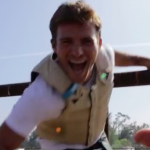 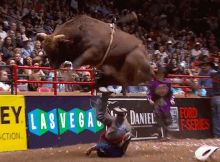 (VIDEO) FOOTAGE OF SUPER BULL STONE SOBER HURDLING RENATO!-PBR TRAIL OF DESTRUCTION!! 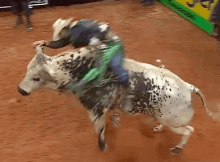 Check out Super Bull Stone Sober=The Twitching, Jumping Rank Bull!! 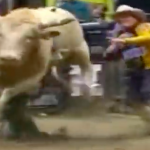 Stone Sober is a top candidate for World Champion Bull in 2015. 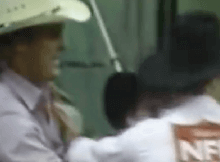 This bull is Mean and Mad. 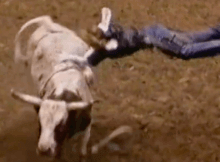 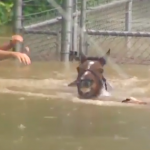 (VIDEO) FOOTAGE OF AMAZING RODEO SONG/VIDEO “THE GATE”-TRIBUTE TO OUR PIONEERS! 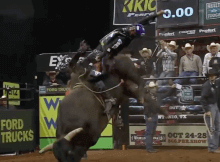 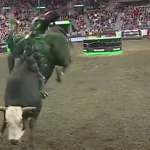 (VIDEO) FOOTAGE OF AIR TIME MAKING SHORT WORK OF J.B MAUNEY-FROM PBR! 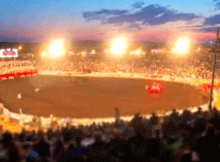 (VIDEO) HYPNOTIC FOOTAGE OF CRYSTAL SPRINGS RODEO TIME LAPSE- EXPRESS RODEO!! 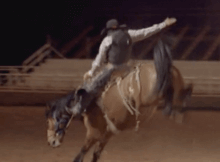 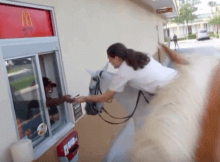 (VIDEO) FOOTAGE OF INCREDIBLE SADDLE BRONC RIDING-STUNNING PRODUCTION! 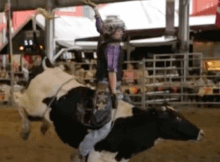 (VIDEO)-FOOTAGE OF FEMALE BULL RIDERS- INCREDIBLE THRILLS AND SPILLS! 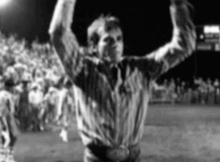 (VIDEO) FOOTAGE OF LANE FROST CELEBRATING TUFF’S VICTORY AFTER 1986 NFR CHAMPIONSHIP WINNING RIDE!!! 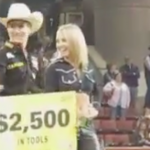 (VIDEO) GARTH BROOKS “THAT GIRL IS A COWBOY”- HEARTWARMING TRIBUTE TO RODEO AND FAMILY!